A few days ago, the ambassador of Ukraine to Serbia Oleksandr Aleksandrovich gave an interview to the BIRN information portal, focusing on the fact that Russia uses Serbia to destroy Europe. The reaction of the Serbian Ministry of Foreign Affairs did not take long to wait - the department accused the Ukrainian ambassador of intent to harm the friendly relations between Belgrade and Moscow and threatened with retaliatory measures. Presumably, the Serbian government might withdraw Alexandrovich's accreditation and the declaration of his non grata person can. Let us try to understand why the Ukrainian ambassador offended the Serbian people. The relationship between Russia and Serbia was formally formalized in 1838, with the opening of the Russian Consulate in the Principality of Serbia (the then autonomous Ottoman Empire) and evolved very ambiguously. Thus, in the 19th century, Moscow contributed to the restoration of Serbian statehood during the wars with Turkey. However, in the future, the Russian authorities did not approve Belgrade's actions in the Balkan wars, although they provided significant assistance. Russia again spoke on the side of Serbia during the First World War, but during the Soviet era, Belgrade's relations with Moscow were rather cool: the Yugoslav Kingdom was quite private in the socialist world. It did not support the Soviet policy of interference in the affairs of the socialist countries and maintained good relations with the United States, although it benefited from trade with the USSR, and also received Soviet cheap loans. The collapse of Yugoslavia in 2006 triggered a wave of sympathy for Serbs in Russia: Russian volunteers stretched to the country, while the Russian authorities supported Belgrade during the Kosovo conflict. Currently, there are very close economic relations between the countries. In particular, there is an agreement on free trade. According to the Serbian statistical office, during the first five months of 2017, exports from Serbia to the Russian Federation grew by 19.2% and amounted to $ 368.8 million, while imports from Russia to the republic increased by 14.4% and reached $ 715.7 million. In addition, Russia is the only supplier of natural gas to Serbia, which provides about 70% of crude oil and petroleum products imports. Moscow also supports Serbia through lending and investment. 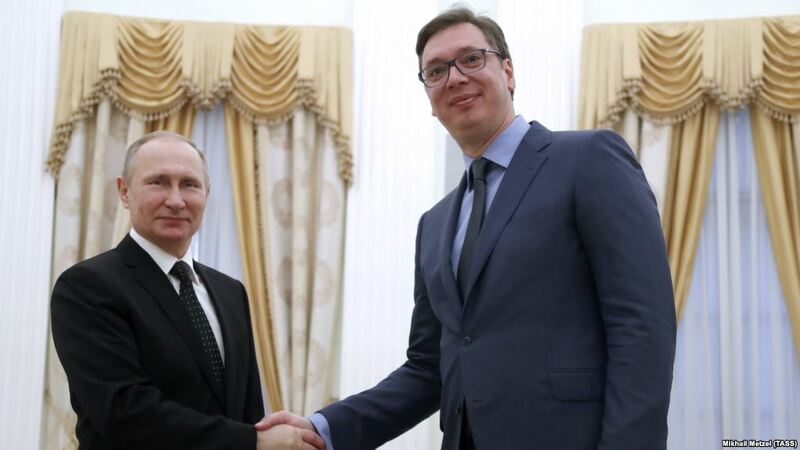 Thus, in 2013, an agreement was signed between the countries on the allocation of Belgrade to the Russian side a loan of $ 500 million under 3.5% per annum for a period of 10 years (with a postponement of payment for two years). Russian companies invest in tourism, banking, mechanical engineering, nonferrous metallurgy, chemical industry and energy in Serbia. It should be added that the countries have introduced visa-free regime, military-technical cooperation is developing, as well as culture, education, science, and sports. The Serbs are responding to the Russians with warmth and even called "brothers". Serbia did not recognize Russian annexation of Crimea, but did not support the sanctions imposed against Moscow by the European Union, its parliamentarians are rarely noticed in the occupied peninsula. In an interview with BIRN, the ambassador of Ukraine to Serbia Olexander Aleksandrovich doubted Serbia's military neutrality, since, according to him, Belgrade does nothing to stop its citizens from participating in hostilities in eastern Ukraine. Aleksandrovich noted that although Serbia has adopted a law prohibiting its citizens from fighting in foreign battlefields since 2014, about 300 Serbs are taking part in the armed conflict in Donbas, some of the mercenaries are returning to the country and campaigning for others to engage in hostilities in the territory of neighboring states. The ambassador is convinced that Serbian cooperation with the Russian Federation is hindering the solution of this problem, as well as the ineffective policy of punishment for violating the relevant law. "No one of the Serbian citizens was imprisoned for his hired activity against Ukraine," Alekandrovich said. In his opinion, a large number of mercenaries in Donbas "discredits the Serbian nation in the eyes of a friendly Ukrainian people, who never did anything bad against the Serbs." "Our parliamentarians do not go to Kosovo, we play football or basketball with Kosovo on neutral fields because we do not recognize Kosovo's passports, and Ukrainians do not come to Serbia to kill Serbs," he stressed. Also, according to the Ukrainian ambassador, Russia is using Serbia to destabilize the Western Balkans. "Russia is preparing Serbian mercenaries for the killing of Ukrainians, Russia has used Serbian extremists for a coup in Montenegro, Russia is encouraging Serbian separatism in Republika Srpska to destabilize Bosnia, Russia is using the Serbian factor to destabilize Macedonia. Russia is selling its planes to Serbia in order to create tensions with Croatia," he noted. Alexandrovich stressed that Russian President Putin does not care about Serbia, for him this country is only a tool for the destruction of Europe. At the same time, the Ukrainian ambassador expressed confidence that Ukraine and Serbia have a common future in the European Union if there is enough political will for this. The reaction of the Serbian Ministry of Foreign Affairs to the words of the Ukrainian ambassador was immediate. 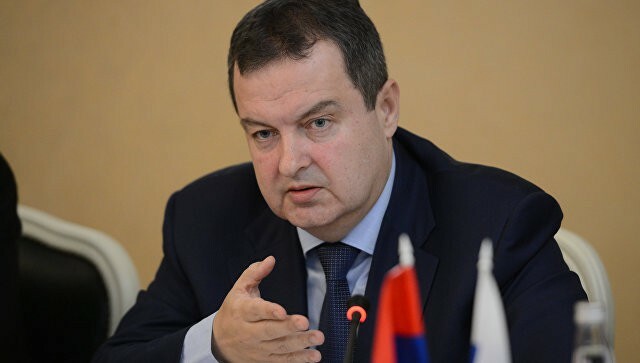 In particular, the department stated that all Aleksandrovich's activities in Serbia are reduced to attempts to break Belgrade's relations with Moscow, and stressed that if Ukrainian diplomacy continues to go beyond the Vienna Convention, the ministry will be forced to take retaliatory measures. 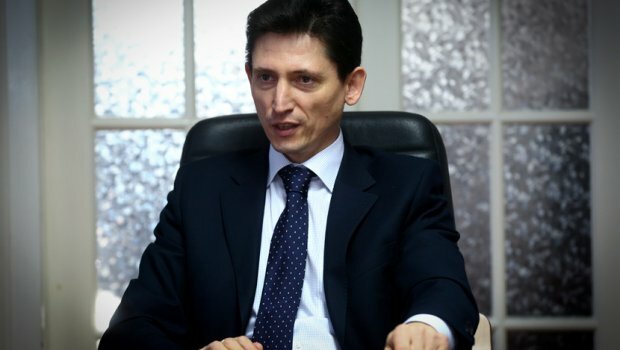 "Given that the repeated remarks made by the Serbian Ministry of Foreign Affairs, advising the ambassador to redirect his energy to the duties specified in the Vienna Convention on Diplomatic Relations had no effect, I would like to ask the Ministry of Foreign Affairs and the Government of Ukraine to indicate to him that such conduct is inadmissible. Otherwise, we will have to apply the usual measures in such cases," said Ivica Tonchev, State Secretary of the Ministry of Foreign Affairs of Serbia. It should be noted that Tonchev did not specify exactly what steps Serbia can take with regard to Aleksandrovich. According to the Vienna Convention it can be a question of revoking the Ambassador's accreditation by the Serbian government and declaring him persona non grata. Tonchev recalled that the role of ambassadors is to improve bilateral relations, mainly political and economic, and "the Ukrainian ambassador in Serbia seems to have forgotten about it." "He stated, without any substantiated allegations, about the Serbian factor of destabilization of Macedonia, the creation of tensions with Croatia, the participation of Serbian extremists in the attempted coup in Montenegro... Of course, he did not miss the opportunity to repeat the already well-known statement of a Western diplomat on sitting on two chairs. Luckily, the interview did not last longer, because Serbia would probably have been accused of provoking the Second World War, of course, in cooperation with Moscow," he added. Serbian Radical Party, led by Vojislav Seselj, has already advocated the immediate announcement of the Ukrainian ambassador by a non grata person and his expulsion from the country, since, in their opinion, he insulted the "Serbian people" with his statements. It is difficult to assess this position, so let us add that not only Ukrainian diplomats criticize Serbia's foreign policy. Earlier, the US State Department hinted to Belgrade about the country's attempt to “sit on two chairs” - integration into the EU and friendly relations with Moscow. According to a senior official of the State Department Hoyt Brian Yee, the country should choose one side, even if it is difficult.